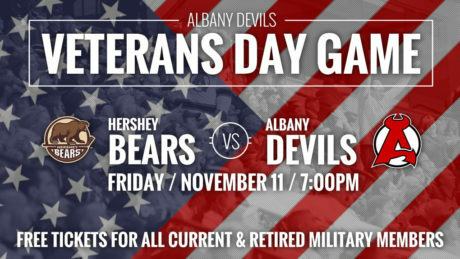 The Devils have announced that for Veterans Day all active and retired service members will receive free admission to Friday’s 7 pm contest against the Hershey Bears. River Rats Jerseys Are Coming Back! 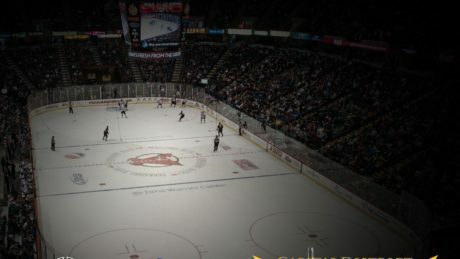 The Devils will wear special Albany River Rats jerseys on Saturday, Nov. 26 and Saturday, Mar. 25. 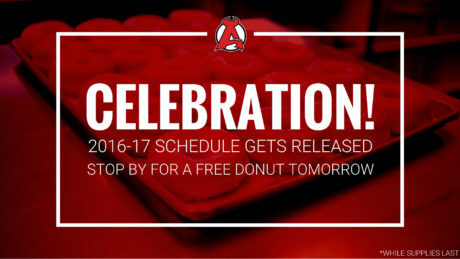 With the 2016-17 schedule officially set, we’ve decided to celebrate with free donuts! Stop by the Times Union Center Tuesday between 8 am and 11 am for a tasty treat! 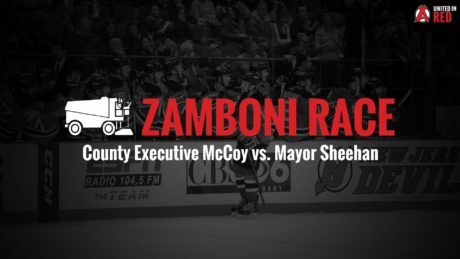 Albany County Executive Daniel P. McCoy and City of Albany Mayor Kathy M. Sheehan will go head-to-head in the first ever Albany Devils Zamboni Race. The competition, which is open to the public, will take place Wednesday, Oct. 21 at 1:30 pm on South Pearl St. in downtown Albany in front of the Times Union Center. 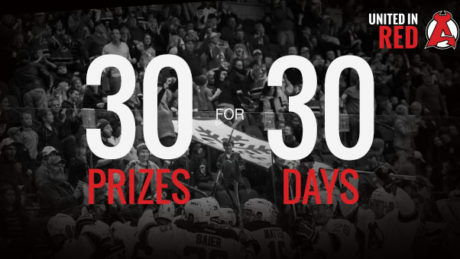 If you purchase, renew or have renewed your Season Tickets for the 2015-16 season, you will be automatically entered into a daily contest that will award a prize every day for 30 days. 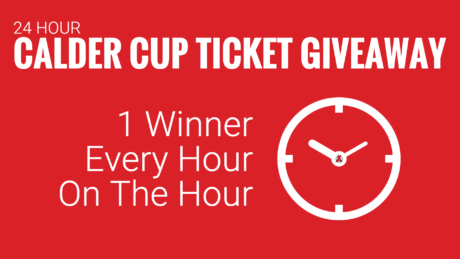 The earlier you purchase or renew the sooner you will be automatically entered for a chance to win one of 30 great prizes! Fan Fest Is October 14! 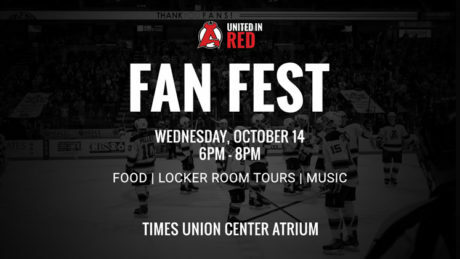 Join us for Fan Fest on Wednesday, Oct. 14 at Times Union Center. Meet the team and take a locker room tour! 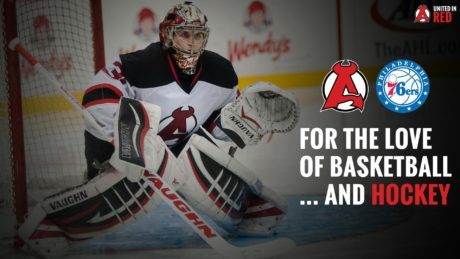 To commemorate the Philadelphia 76ers visit to the Times Union Center, the Albany Devils are offering a special ticket promotion for their Sunday, Oct. 25 contest against the Binghamton Senators. 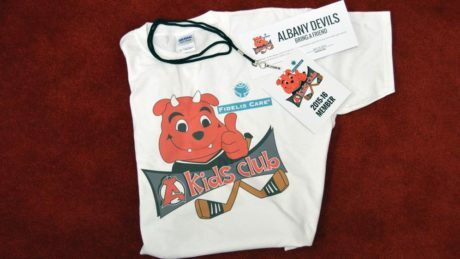 Attention all Albany Devils Kids Club Members! You can pick up your t-shirt, credential, buddy pass and special giveaway item at Saturday and Sunday’s games. Just stop by Section 101! 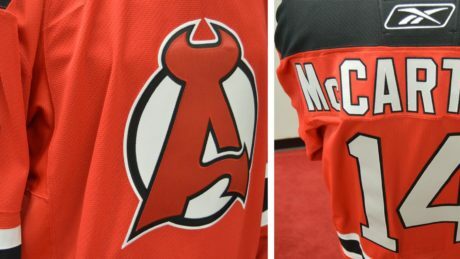 One year after Paul McCartney’s historical performance at Times Union Center, the Albany Devils are giving away a commemorative “McCartney” jersey. 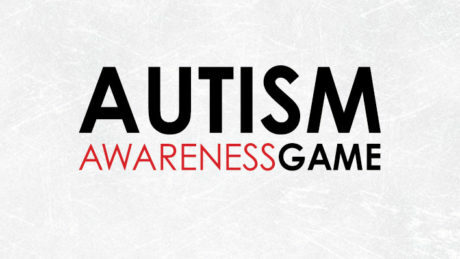 There’s more to the story than just a hockey sweater, however.